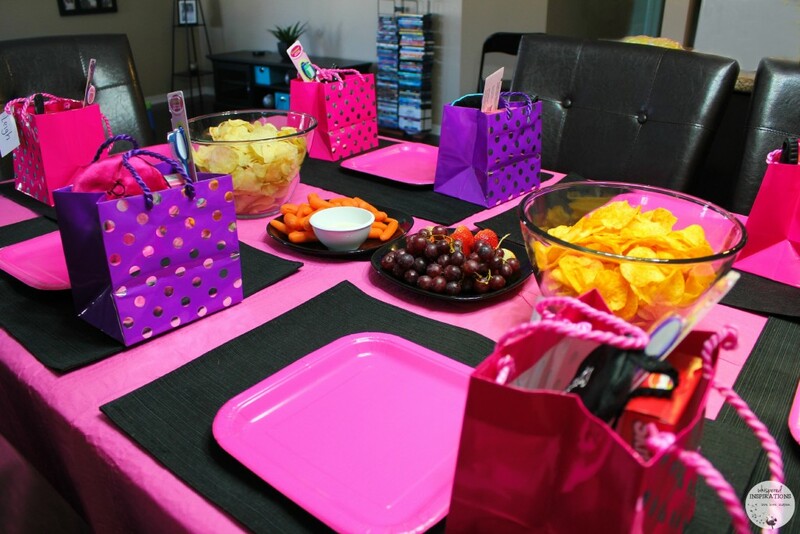 Throw the Ultimate Tween Sleepover Party, with these Tween Sleepover Ideas, that is! 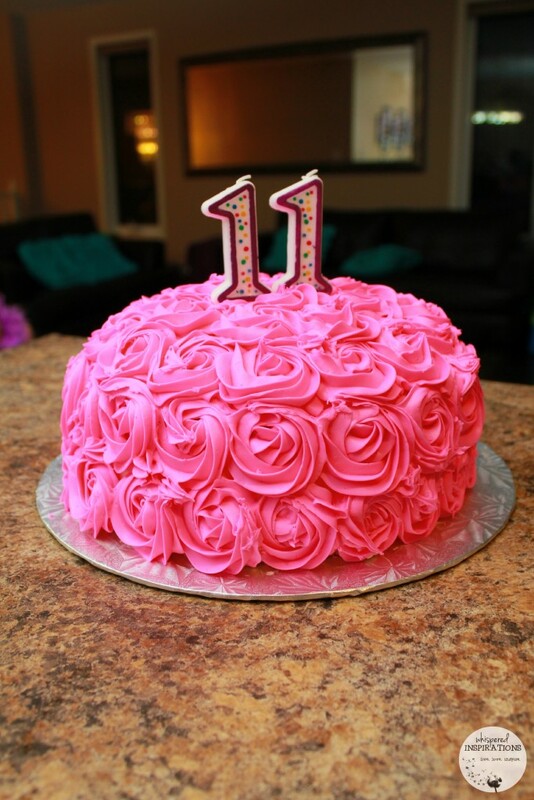 Gabby celebrated her 11th birthday and she wanted something lower key at home. This is the first time she has requested a party at home and not at a venue. So, needless to say, we were kind of excited for a little less planning! 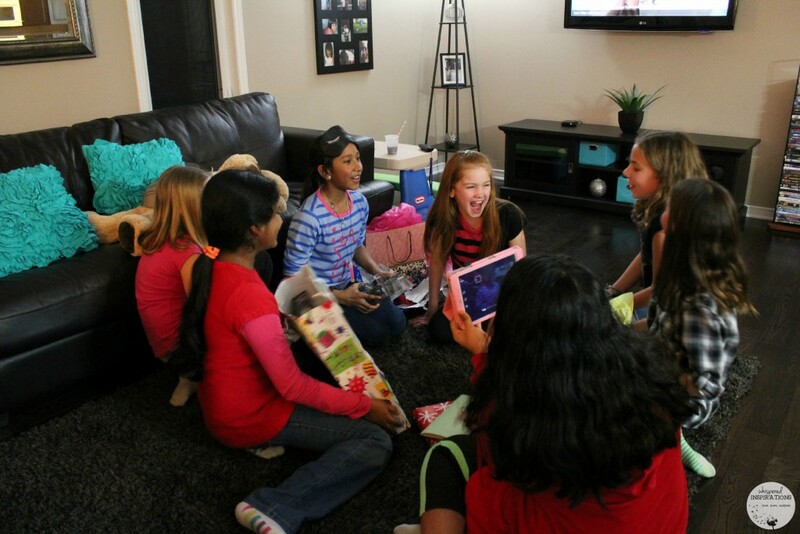 Tween girls love having sleepovers, however there is nothing worse than having a bunch of girls together and having nothing planned for them to do! Thankfully, there are many things that tween girls can do and they are all quite simple to plan. 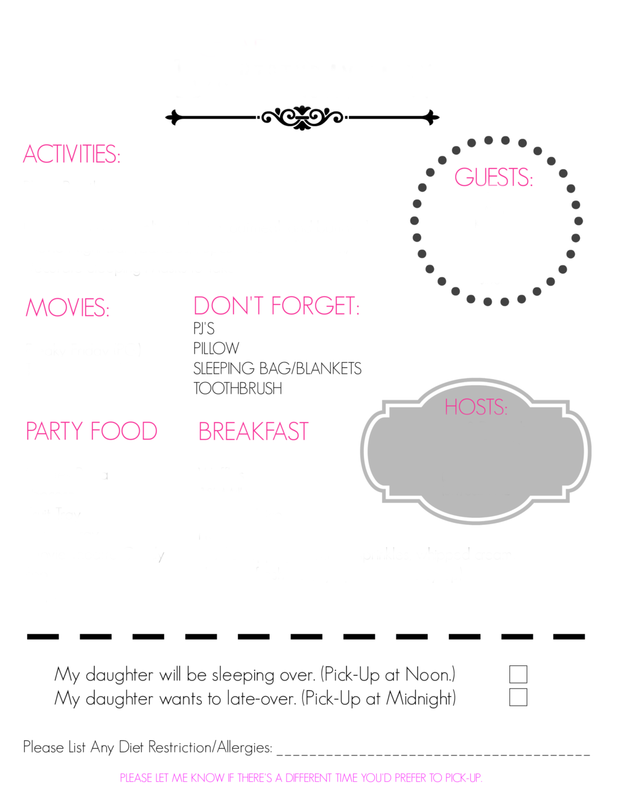 I decided to create an itinerary for the guests and something they can show their parents about what they’d be doing that night. It has a list of activities, movies, foods and party info. The lower part can be cut off and sent back to me for RSVP. I gave the option of sleepover or late-over–if they chose the latter, their parents would pick them up at midnight. 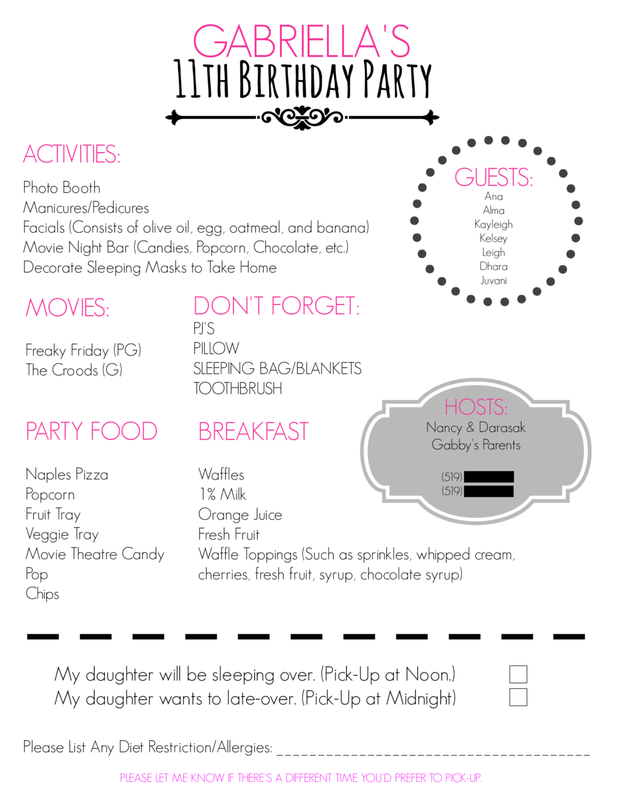 You can see the party itinerary here and download a blank one for your own use, HERE. While watching movies will not guarantee that the girls will be quiet, they will at least guarantee that they will not be bored. The girls should pick out a couple of movies that they want to watch during the sleepover. Of course, they will need something to eat and drink while the movies are playing, so a buffet will definitely be needed. 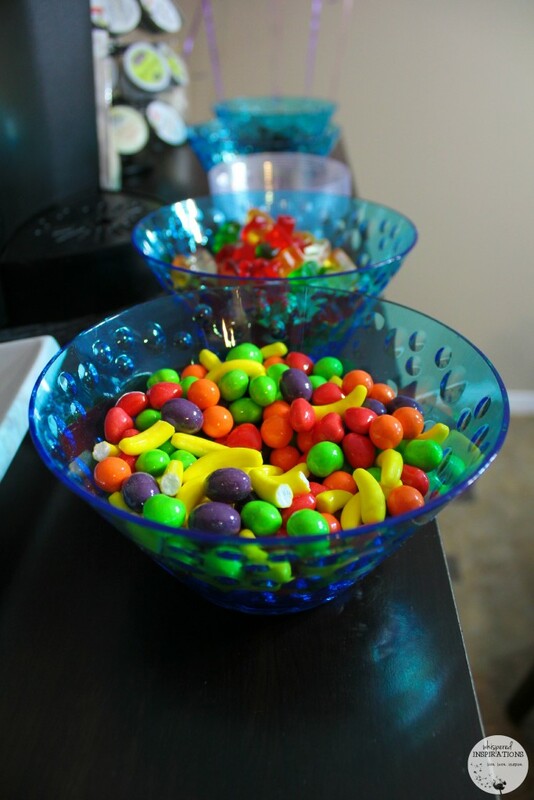 Some of the food that can be set out is popcorn, chips, veggies and dip, cut up fruit, candies and chocolate. I set up a candy bar for their movies and they loved it. There really isn’t like having good food at a party. Kids are pretty easy, treats like pizza, chips and staples like fruits and veggies are always a hit. Of course, let there be cake! I made a simple two-layer buttercream cake! They loved it and it was enjoyed. You can always pick up a small cake for the group if you’re not the baking type. Playing dress up takes on a whole new meaning as girls get older. Instead of wanting to put on fancy dresses and high heels, they will want to play hair stylist instead. Some of the supplies that they will need are hair bands, bobby pins, curling irons, combs, brushes and hair spray. They can watch YouTube videos on how to do different hair styles and then attempt to copy them on each other. 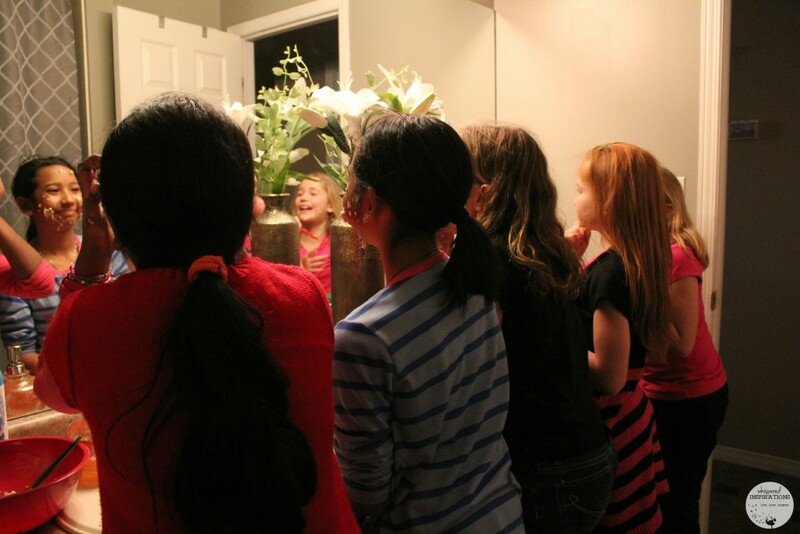 Styling hair during a sleepover can provide quite a bit of entertainment and laughter! 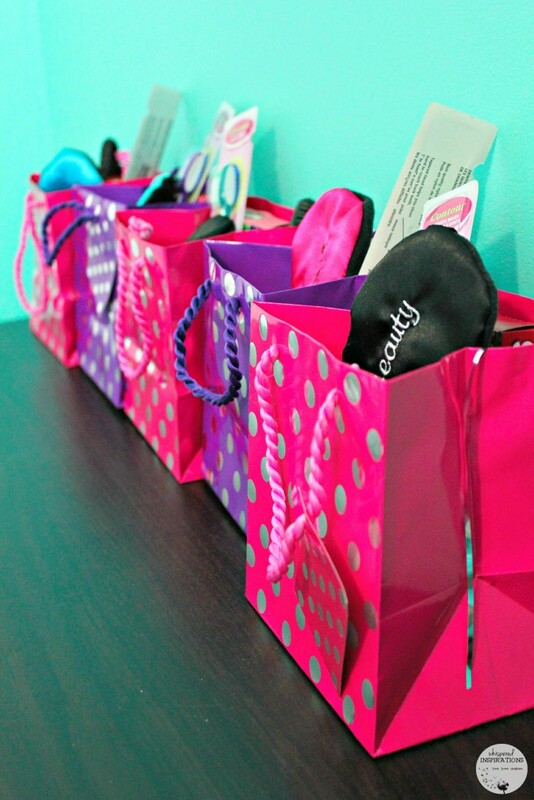 I put together a party favor ahead of time and these personalized brushes for the girls. I just used sticky rhinestones and monogrammed them. 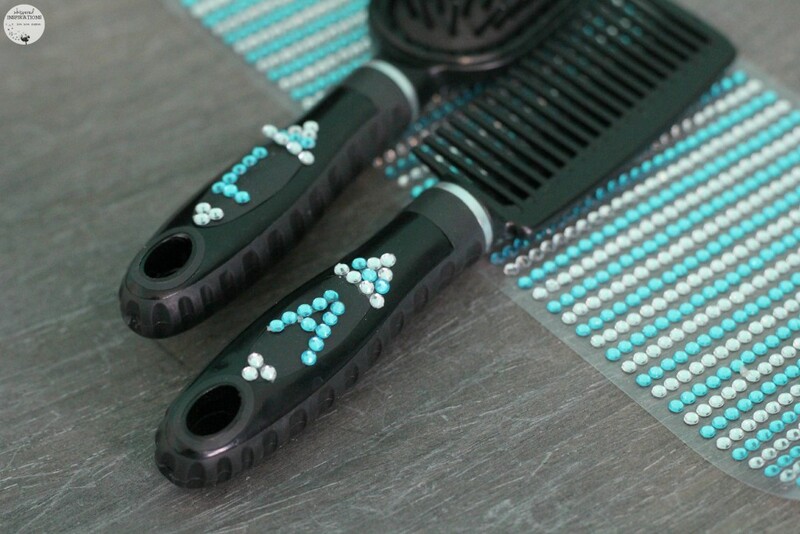 Great to do each other’s hair but with their own new brushes! 4. Manis, Pedis and Facials! Girls love having their nails painted, so doing manis and pedis at a sleepover is always a popular choice. All that the girls will need is nail files and different colors of nail polish. They can use their imaginations and Pinterest for the rest. I used my organic facial mask for the girls to try to give each other facials. They had fun putting on the gunky stuff on their faces. There was lots of laughter and giggles and be prepared for a mess! But, they will love it and their skin will too! Playing games is also fun and there are so many choices nowadays. 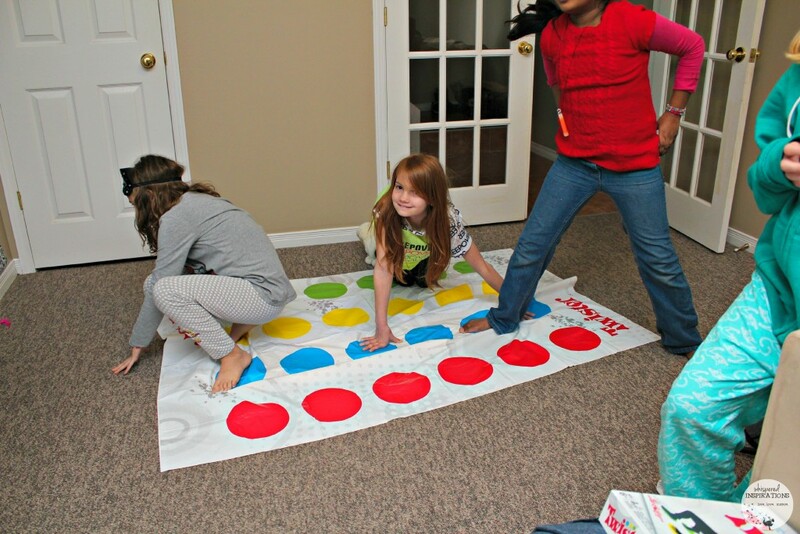 The girls can play games like Truth or Dare, Twister, Apples to Apples and UNO. It is usually best to choose games that everyone knows how to play or games that are easy to learn how to play. Most girls love craft projects and many of them are easy and inexpensive. A few craft ideas include decorating a sleep mask, make fun and funky flip-flops, design t-shirts with fabric markers and fabric paints and make no sew fleece blankets. Everyone has a special talent and the girls can work hard coming up with different things to do in the talent show. They can work on dance routines, songs, juggling or anything else and then they can all perform for each other. Each girl can do a solo act and then they can all do group acts too. I set up a photo booth and picked up props at the dollar store to use for pictures. 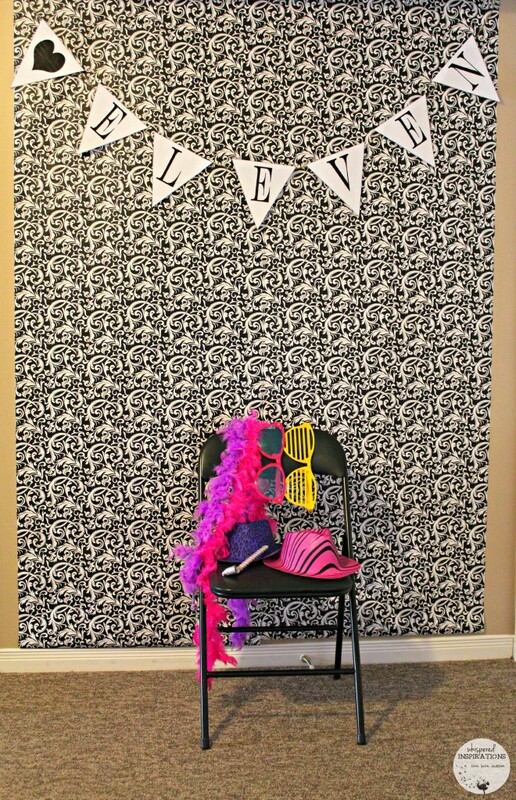 I set up a wall by using wrapping paper on the wall and I made a quick paper banner. 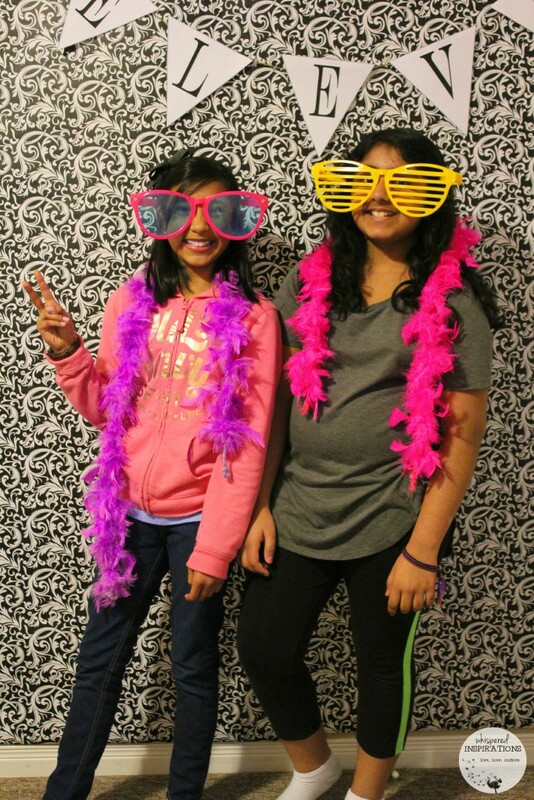 Instant photo booth, instant fun! 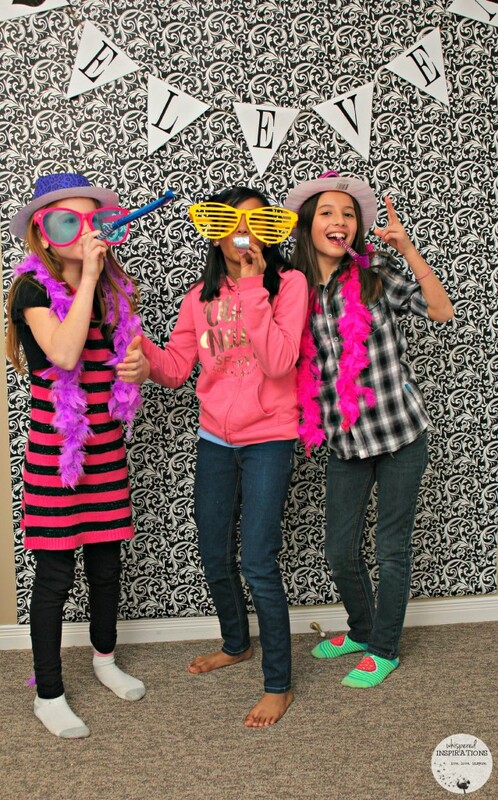 The girls had tons of fun posing for the pictures. 9. Send Them Home with Treats! 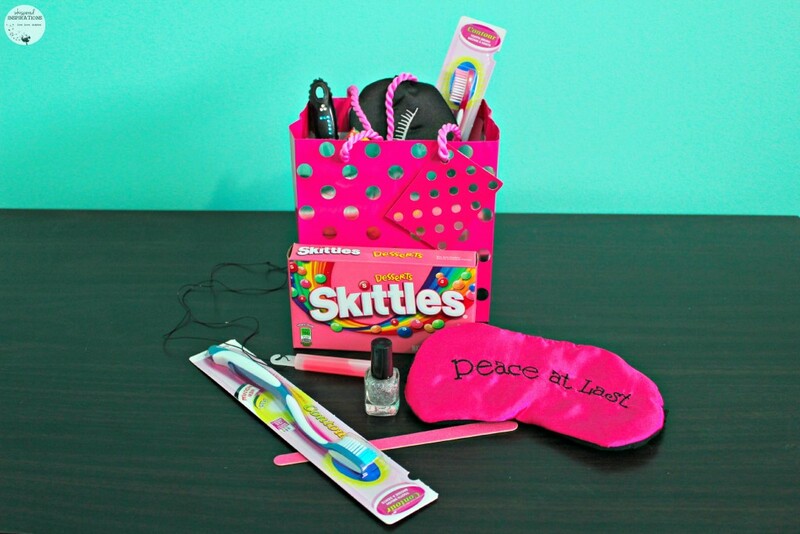 I made a fun little party favor with a customized brush, tooth-brush, nail polish, nail file, glow stick necklace, sleeping mask and candy! They used some during the party and took the rest home. They had fun with the glow sticks, that is for sure! The important thing with tween sleepovers is making sure that the girls have activities to do. 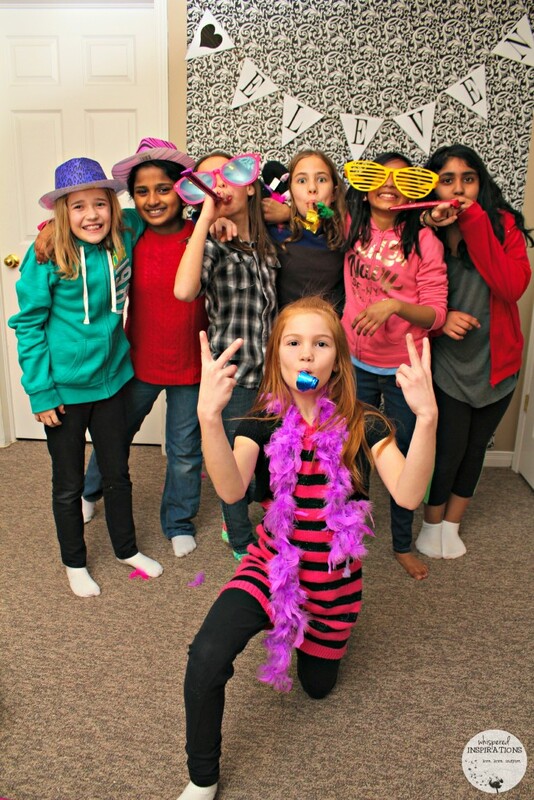 As long as the girls are having fun, you might be able to avoid some of the tween drama that always seems to happen when girls have nothing to do and they get bored! The next morning calls for a party breakfast. You can get all fancy and make Nutella Breakfast Churros, they’re always a hit. But, we served the girls a waffle breakfast and they were good to go for the rest of their day! Of course they were party waffles with the option of whipped cream, chocolate sauce, sprinkles and cherries! I apologize to the parents! What do your kids like doing during a sleepover? Wow,thats some party the girls must have had a blast. 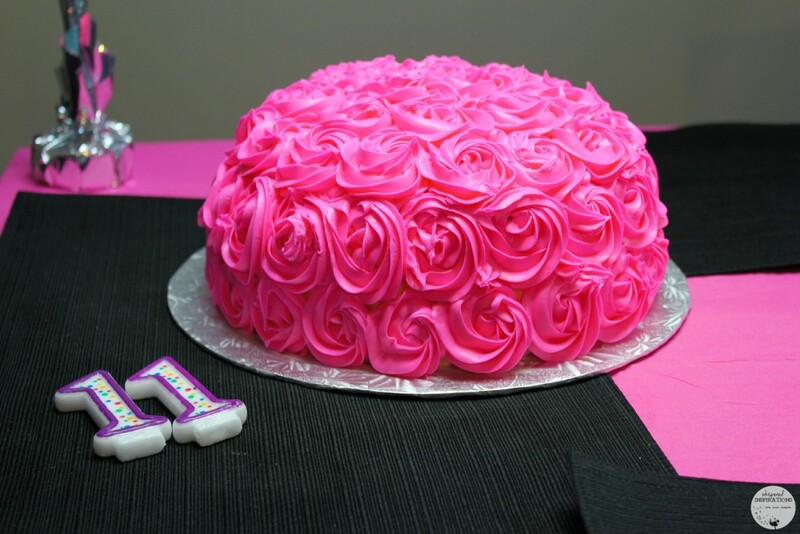 I so love at pink cake and with my granddaughter BD approaching,i would love to try doing a cake like yours….i love it !! We tried the cake we never got the perfection you got but the girls were happy with it. !